yep - Path parameter has been hidden also - there is a Follow Path tool on the Constraints shelf. I think there might be a bug with the focus handle but you should be able to put an expression in that parameter to measure the distance between the camera and the object. the best you can do is export from Maya as FBX and use that as I guide to rebuild the rig. the LookAt parameter has been deprecated in favor of the new CHOP based constraints. For the end or the beginning of node chains i.e. if they have no parent or no child, have a Network Pane Display option where you can highlight the bottom or top half of the node. Either with a gradient or a circle. This way you can detect dead ends, or the start of chains. Theoretically for instance in a "common style" where OUT is at the end, or you have a file or a primitive node these would be highlighted. This would help say you miss wire something or were debugging and forgot to reconnect a wore on how to connect them again. The alternatives are running a performance monitor test to check for dead leads(assuming all switches are working), pain painstakingly check all connections, or OCD reorganizing so the wiring is clear. - have multple output from object subnet. or atleast in object level HDA. - python support for handles, or maybe a better way of setting up handles. - a way to extend or install a custom component in the new autorig. - seems also that HDA now saves the userdata in its definition. that seems an odd behavior. is it intended? or bug? - "save content as lock" doesn't work if the asset was once had it turned off. ( can't lock it anymore ). - in the "change operator type", it would be nice to see the "version" namespace. - im using houdini 16.0.504, linux mint 3.2.7, forgive me if most bugs i said was squashed. scripting/programming come into play in a number of different areas and to differing degrees. the most basic kind of scripting would be something like a channel expression - in the TX parameter of an object > sin($F) or a reference to another channel "ch("/obj/someOtherObject/tx")"
VEX ( http://www.sidefx.com/docs/houdini/vex/_index ) would be used to write 'custom nodes', a wrangle is just a container for vex script that does stuff, which makes the wrangle act like a custom node. vex is super powerful and can do lots of things that would be hard or impossible with Houdini's default nodes alone. Houdini has HOM (Houdini Object Model) and this exposes most of Houdini in a python interface - so you can write custom nodes, tools with UIs etc and just generally interact with Houdini using python. so it really depends on what you're doing, what your end goal is at any particular time. having a good foundation in scripting/programming means you're better able to take advantage of these things to get work done. without seeing you file it's just a guess but - it's probably a collision geo issue. the group node has been split into individual nodes, older tutorials will not reflect this. what kind of group are you trying to make, or what kind of operation are you trying to do? put down some of the other group nodes and have a look at what they do. Is it me or have the group nodes mulitplied like rabbits? After unifying noise, shaders, etc, I don't understand how node multiplicity makes sense elsewhere. Maybe SESI could weigh in on the thinking? there were many people telling us that the 'one node to rule them all' was often confusing and they had trouble figuring out where/what was going on, and there was interest here to split them up to make fixes/features easier to do in simpler code. @michael yep exactly - copy/paste works well but it would even be more fluid, and exciting, to be able to drag-copy a node or bunch of nodes of the same type between networks. 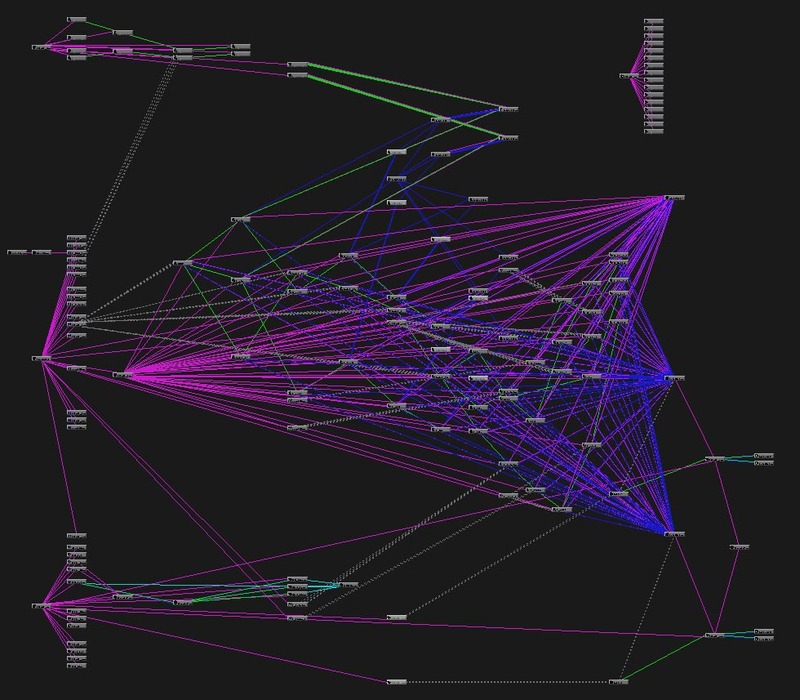 opt+drag a node is super nice, so it would be rad to be able to opt+drag into different networks. Would really feel like a file browser then! do you mean drag a node from one network to another (of the same type)? copy/paste works, and each network type has it's own clipboard.